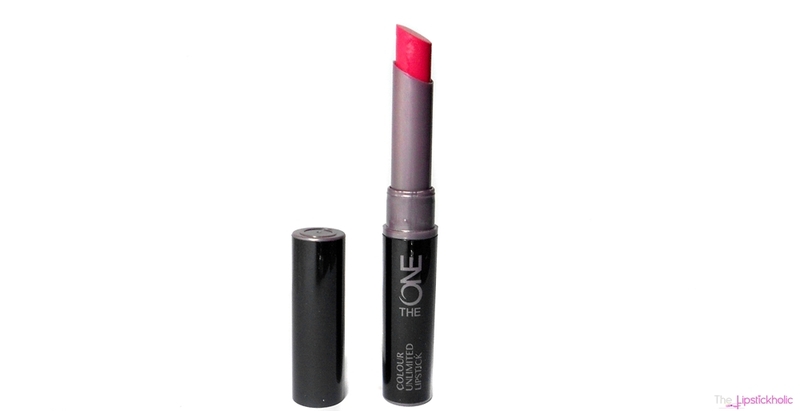 Review: Oriflame The One Colour Unlimited Lipstick in shade Pink Unlimited...!!! Hope you all are doing great and enjoying your days. Today I am going to review a new lipstick that I tried this month. Its "Oriflame The One Colour Unlimited Lipstick" and the shade that am reviewing is "Pink Unlimited". 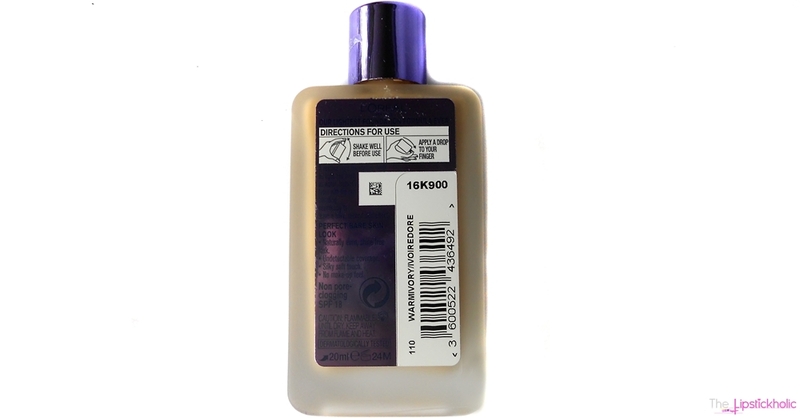 Oriflame Sweden is an international beauty brand that offers a wide range of products. Most of their products are organic and contain all natural ingredients and that is what really appealed me to try this brand. 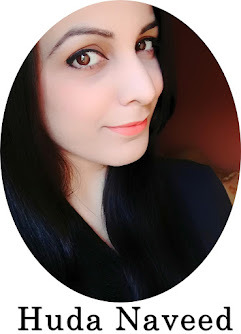 This lipstick is the first ever product I have tried by Oriflame Cosmetics. So let's get to the review and see what I have to say about it. Oriflame the one colour unlimited lipstick comes in a sleek thin twistable tube packaging. The texture of this lipstick feels so lightweight and silky smooth. It feels very very hydrating and glides so smoothly on the lips. This lipstick is fairly pigmented and provides medium yet buildable coverage. When swatched on arm it appears much sheerer, but once applied on lips it provides almost opaque coverage in one swipe. The finish it provides is creamy and slightly glossy initially. However after about an hour of application, the glossiness fades away and it turns to a lovely semi-matte finish which I really love. The shade "Pink Unlimited" is a gorgeous raspberry pink shade. Usually I don't like such berry pink shades as I don't find them much wearable. But this one is really lovely and so wearable. Am so in love with this shade and I have been wearing it almost daily since the day I got it. This shade will compliment almost all skin tones from fair to medium or dark. The staying power of this lipstick is pretty amazing too and it lasts on my lips for about 4-5 hours and then leaves a nice deep pink stain that looks so natural and lasts for some extra couple of hours. However, after about 5-6 hours of wear it can feel slightly drying on the lips (not a lot though) or can accentuate any dry patches on the lips which is probably because of its staining properties. Overall, I love this lipstick and think its pretty amazing for the price. The shade is absolutely gorgeous. The lipstick itself feels so hydrating on the lips and keeps my lips soft and supple for many hours. The feel, the finish and staying power of this lipstick is pretty amazing. Therefore, I definitely recommend you to try this. I am also hoping to try more products from this range soon. Price & Availability: Oriflame The One Colour Unlimited Lipstick in shade "Pink Unlimited" is available online at Facebook page Relance de Beauté for Rs799/- only. 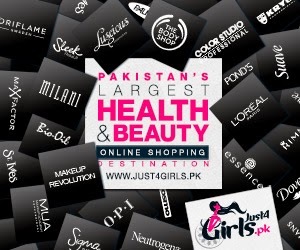 Relance de Beauté provides a wide range of Oriflame in Pakistan at best prices. 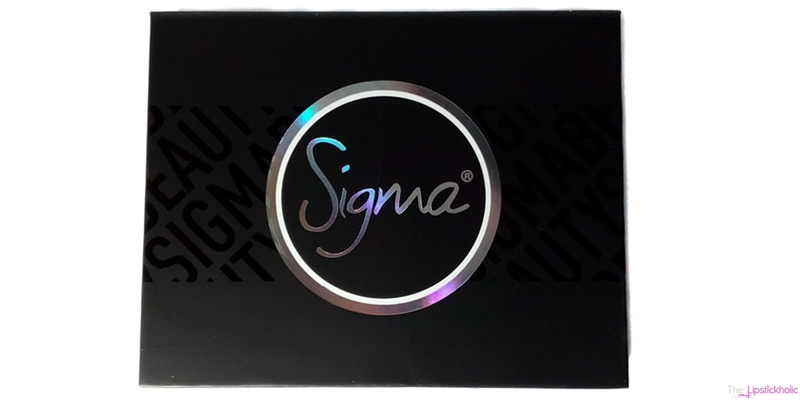 Sigma Beauty Brilliant & Spellbinding eye shadow palette comes in a sleek black hard cardboard packaging with a white Sigma signature outer box. Once you open the palette, you can see Sigma text engraved on each shade. The palette also has a big mirror inside and a magnet that keeps the lid tightly closed. The names of the shades are written at the back of packaging. The black packaging of this palette is so attractive and I love it. 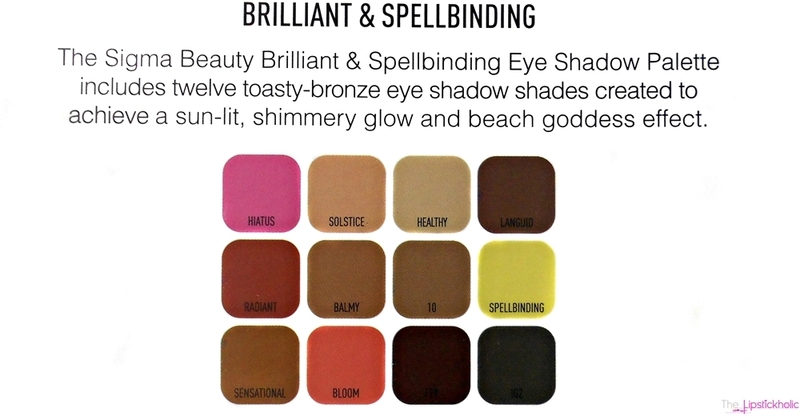 The Brilliant & Spellbinding palette contains 12 gorgeous eye shadows. Most of the shades included in this palette are frosty or shimmery and are warm-toned. However, it also has three completely matte shades and 1 satin-matte shade with some shimmer. 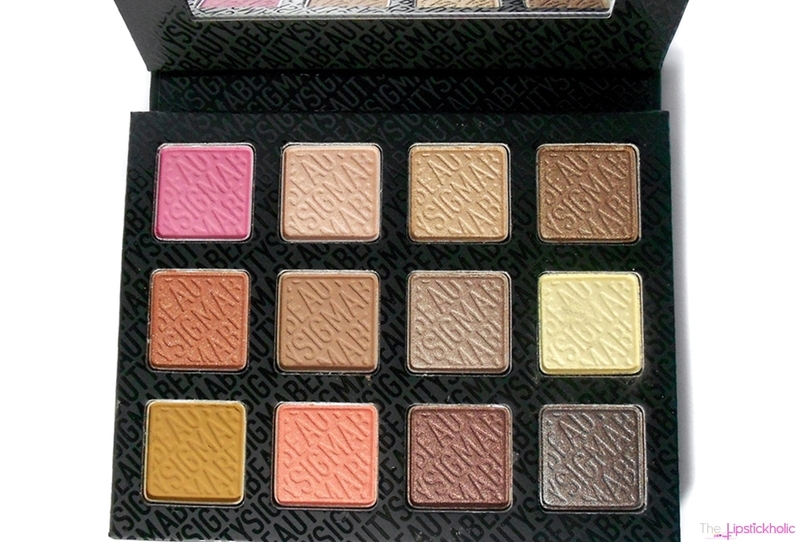 All the shades included in this palette are highly pigmented and have buttery soft texture. Even the matte shades included in this palette are not at all chalky and apply and blend so smoothly. Despite the super soft texture, I didn't experience any fall-out while applying these eye shadows. I am really impressed with the smooth texture and overall performance of this palette. Overall, I am really impressed with the excellent color payoff, creamy soft texture and impressive staying power of all the shades included in this palette. This palette has such gorgeous combination of colors and the sleek black packaging of the palette makes it even more attractive. This palette has won my heart and I will definitely be featuring it in my future eye makeup looks or EOTDs. The price of this palette is pretty reasonable as compared to other high-end brands or eye shadow palettes of similar quality. This palette is a must-have for all eye makeup lovers and I definitely recommend you all to try this. 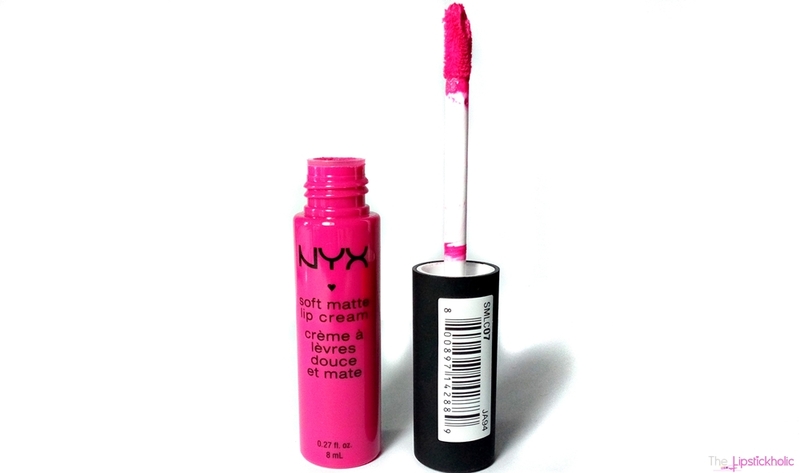 Review: NYX Soft Matte Lip Cream in Addis Ababa...!!! NYX Soft Matte Lip Cream in "Addis Ababa"
The texture of NYX soft matte lip cream is slightly different than all the liquid lipsticks I have tried till now. Its more creamy in consistency than the rest of the liquid lipsticks. It applies very easily and evenly on lips and initially dries to a semi-matte finish. The semi-matte finish turns velvety matte after a while. This lip cream is fairly pigmented and provides great coverage in just one coat. It feels very light weight and soft on the lips and is very comfortable to wear. It is not at all drying and leaves my lips feeling soft and supple after use. The shade "Addis Ababa" is a gorgeous blue based bright pink shade with slight hint of fuchsia in it. 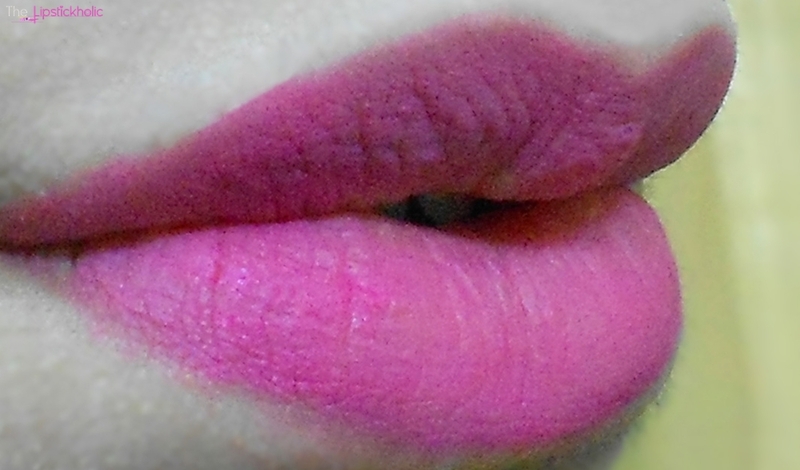 I have many pink lipsticks in my collection but none of those is similar to this one. Its just the perfect bright pink which instantly brightens the face. I so love this shade and its great for fair-medium or dark skin tones. The lasting power of this lip cream is quite remarkable too. It lasts on me for about 5 hours or more (with full meal) and then leaves a nice rosy pink stain which lasts for an extra couple of hour. Isn't it a lovely shade...??? Overall, am highly pleased with the feel, texture and finish of this NYX lip cream. The pigmentation of this lip cream is not as great as the DMGM Photofix lip color but it is still good enough. This is by far the most comfortable to wear and non-drying liquid lipsticks that I have tried. For the price, I think its amazing and I definitely recommend you to try it. Price & Availability: NYX soft matte lip creams are available online at Just4girls.pk for Rs 820/- only. You can also order this in Pakistan through any Facebook page. International readers can buy this from Beauty Joint for $6.00. Hope you all are doing great. Few weeks ago I got the chance to shop from this e-store named "Tmart". I got two products from them including one "Trendy Red Messenger Bag" and second is this "Black Cylindrical Makeup Brushes Holder" that am reviewing today. I was looking for such a brush holder everywhere that can keep my brushes safe from dust and am glad I found one at Tmart. So let's get to the review and see what I have to say about the quality of this brush holder. 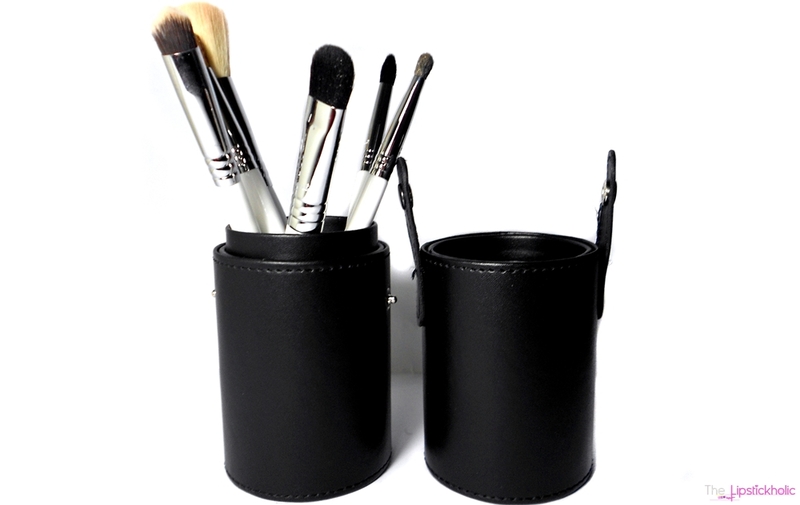 This cylindrical brush holder is made up of leather with hard cardboard inside. It has two buttons at the sides to tightly close the brush holder. This brush holder is not only great for keeping your brushes clean but is also great for traveling. Now I don't have to worry about packaging and safety of my brushes while traveling. The quality of the material however is not really remarkable. While carefully removing the sticker from the back of the holder, the leather slightly got torn and now I have a little yet visible tear/whole there. It also has a strong annoying leather plus glue like smell which is really bothersome for me. Now coming to the size and dimensions of this brush holder.The approximate dimensions of this brush holder as per the website are (2.72 x 6.93)" / (6.9 x 17.6)cm (D x H). It is spacious enough and I can fit many of my favorite brushes in it. However, its not much longer in length. So better not close the lid if you have placed your brushes with longer handles in it or else the bristles can get de-shaped. All in all this is a nice multipurpose holder which can be used for storing makeup brushes, pencils, other makeup tools and much more. The material of this brush holder is not that great though and I do wish it was slightly longer in length. However, this brush holder is still perfect for keeping my brushes clean and safe and is great for traveling. Overall, I am glad I found it and its a nice addition to my vanity. Price & Availability: Available online at Tmart for $8.52/- (Almost PKR 870/-) only. 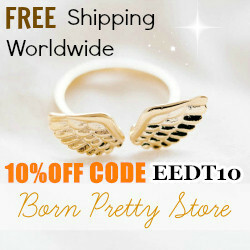 Don't forget to check their website and join them on Facebook and Twitter too.